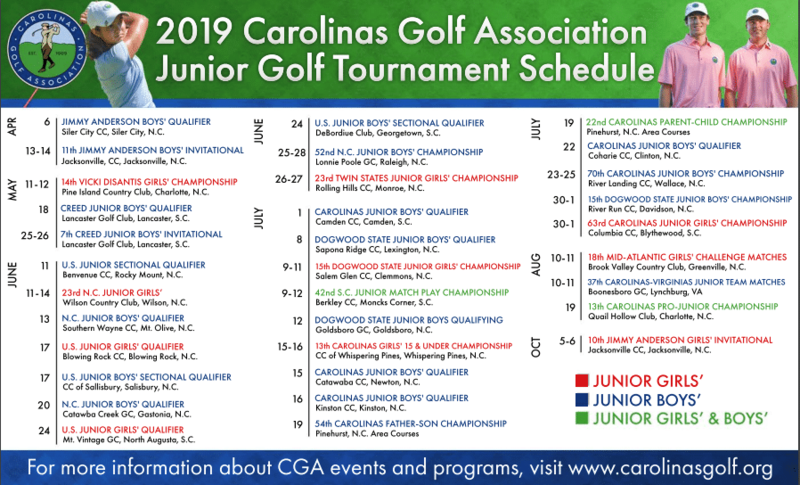 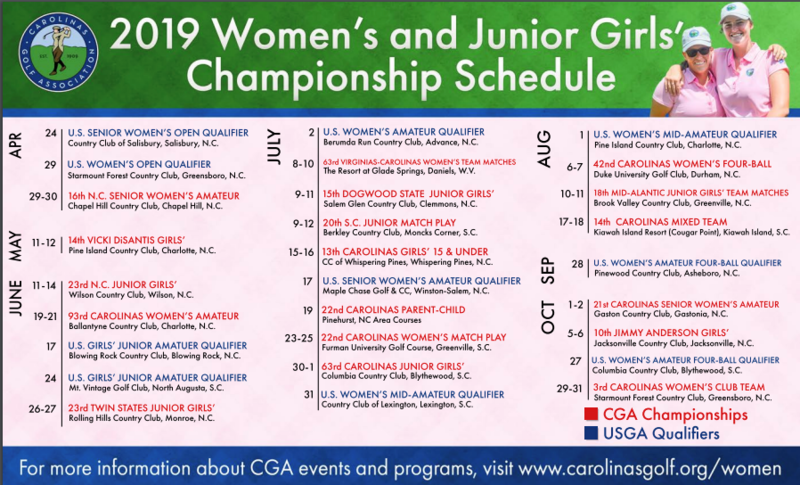 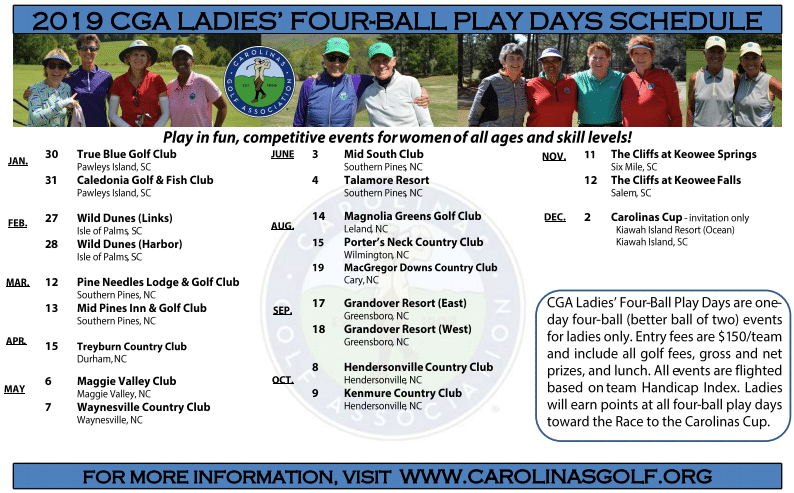 Today, we mailed out our 2019 CGA and TYGA tournament calendars to all our CGA member clubs in the Carolinas. 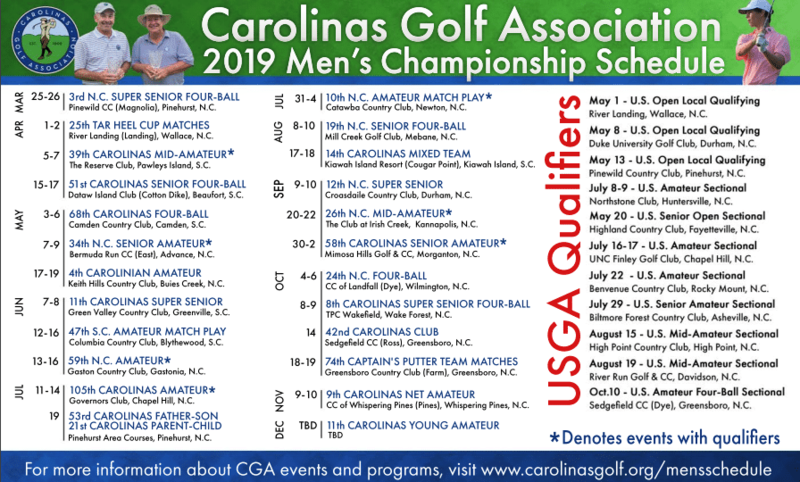 You should start seeing those in your clubhouse and locker rooms soon but should you want one for your own, you can print them out here. 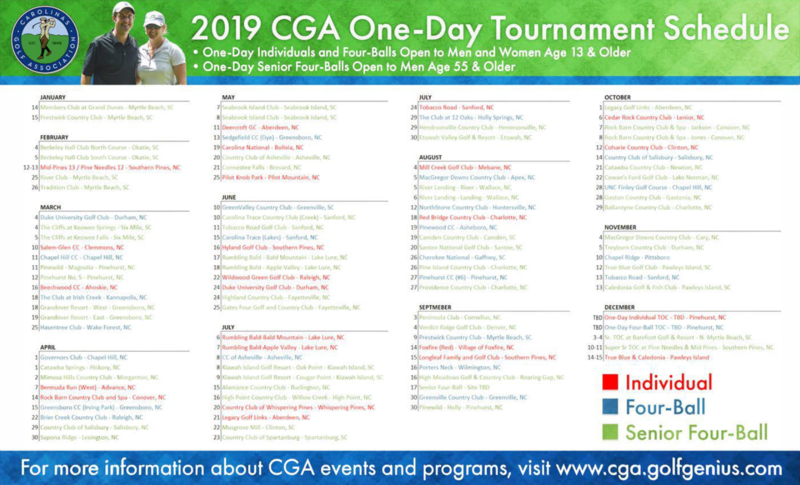 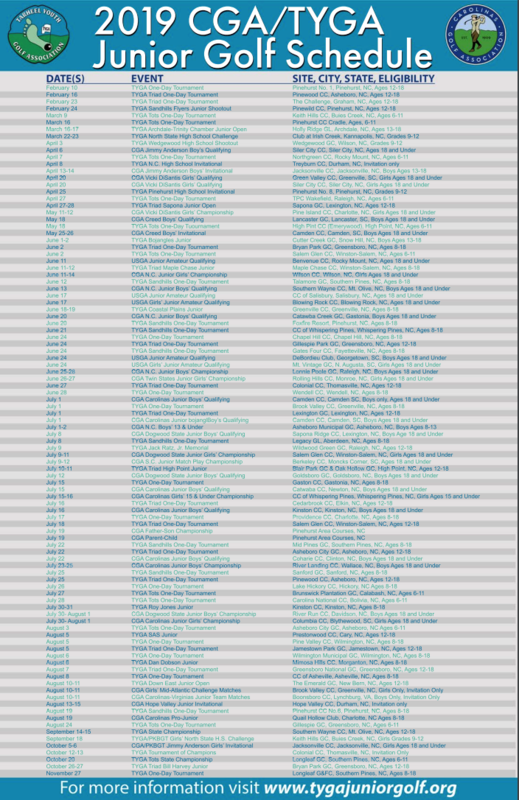 Click the link or picture below to open a printable calendar and start planning out your 2019 tournament schedule!